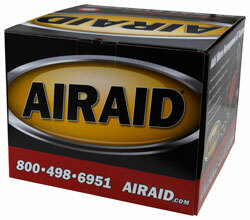 The AIRAID 201-207 fits some Cadillac Escalade, Chevrolet C1500, Chevrolet C1500 Suburban, Chevrolet C2500, Chevrolet C2500 Suburban, Chevrolet C3500, Chevrolet K1500, Chevrolet K1500 Suburban, Chevrolet K2500, Chevrolet K2500 Suburban, Chevrolet K3500, Chevrolet Silverado 1500, Chevrolet Tahoe, GMC C1500, GMC C1500 Suburban, GMC C2500, GMC C2500 Suburban, GMC C3500, GMC K1500, GMC K1500 Suburban, GMC K2500, GMC K2500 Suburban, GMC K3500, GMC Sierra 1500, GMC Yukon, GMC Yukon Denali, and Isuzu Hombre models. See vehicle applications for details. This intake is awesome. It took my 97 GMC p/u, with 91,000 mi. from a V6 with little power and acceleration to what feels like a new engine. It installed exactly according to the directions provided in about 2 hours. I would recommend this product to anyone who wants to give their ride new life.